A stylish and cozy addition to any home. This throw is exquisitely soft and invitingly warm. Suitable for the home, the car or for travel. Rich fashion and corporate colors work with any logo and a wide selection of packaging options allow for a unique presentation. 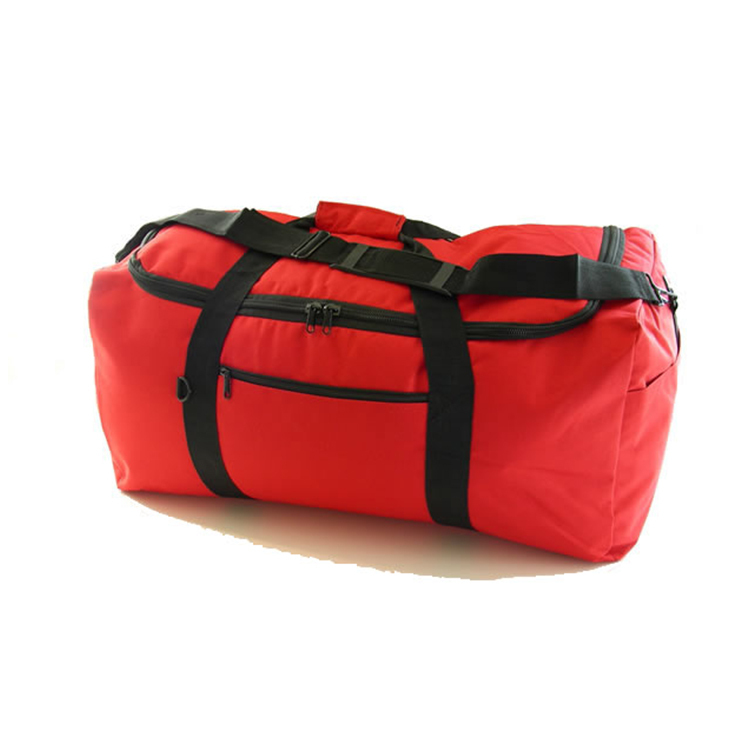 Great team bag with room to carry all your gear. Two open end pockets with hook and loop closure. Adjustable/removable shoulder strap and top grab handles. 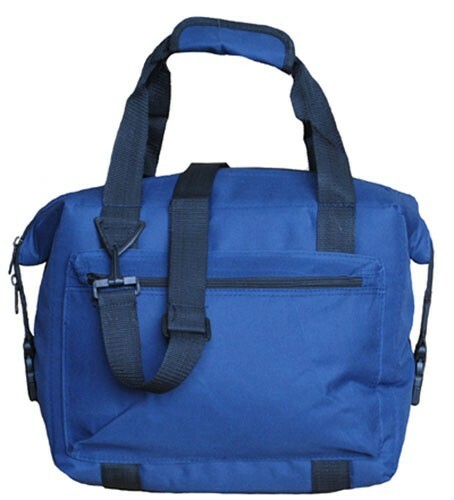 U-shaped opening with double zipper pulls provide easy access to main compartment. Large zippered pocket great for silk screen or embroidery or DIGITAL PRINT ! Patented removable liner velcros in for easy removal for replacement or cleaning. 12 Pack size is perfect for 12 drinks and ice. Large front pocket allows for easy decorating. Keeps drinks cold for hours. Double zipper pulls open wide for easy access to main compartment. Great for silk screen or embroidery or DIGITAL PRINT ! 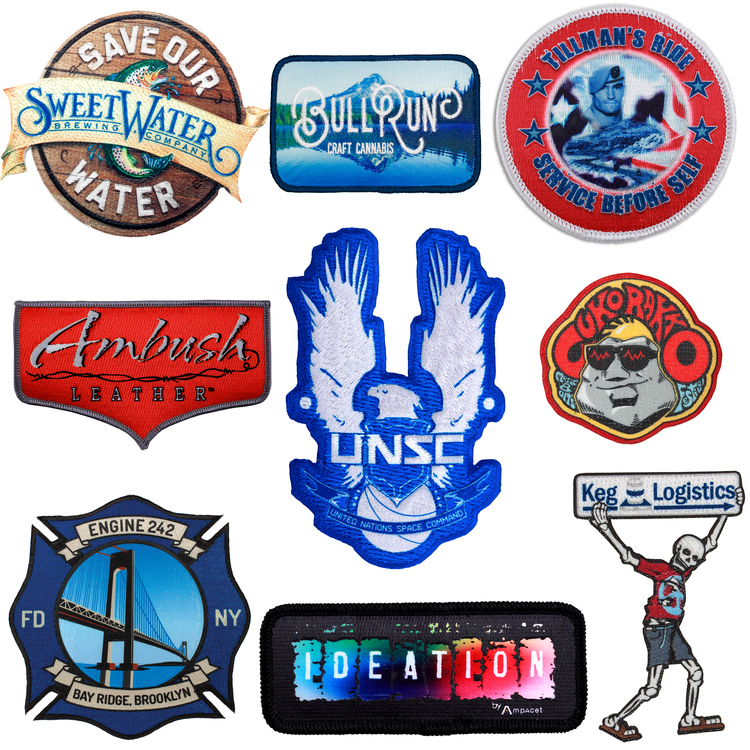 25 Premium Brushed Fabric Colors to select from 100% Flat Panel Embroidery Unstructured Low or Mid Profile Velcro Fastener (Upgrades Available) FREE Multi Location Embroidery NO EXTRA COST!!! FREE 12,000 Anywhere stitches FREE SETUP (under 288 just $65 d) FREE Digitizing on orders of 144 or more FREE Design Layouts - Typically within 24 Hours! 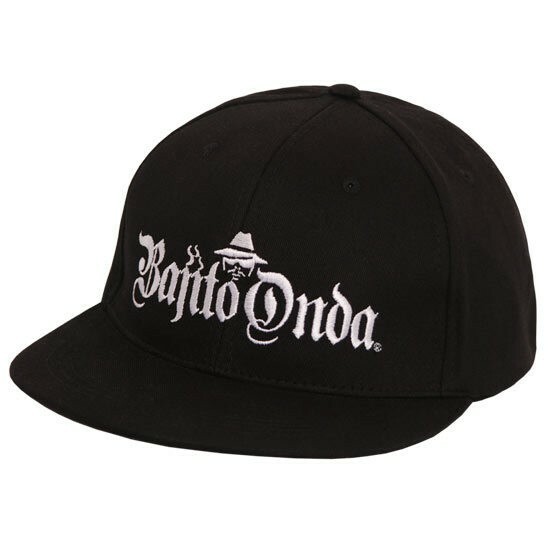 AND: Additional Stitches are just $.10 per thousand (d) Embroider Anywhere on the cap with just a 3K mimimum 28 day production time...these are hand washed for a truly unique look and feel. 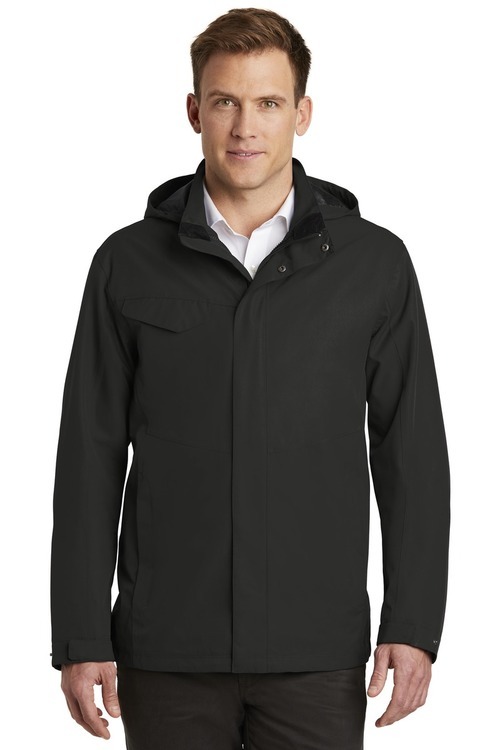 Alden Men's Midweight Fleece-Lined Jacket. 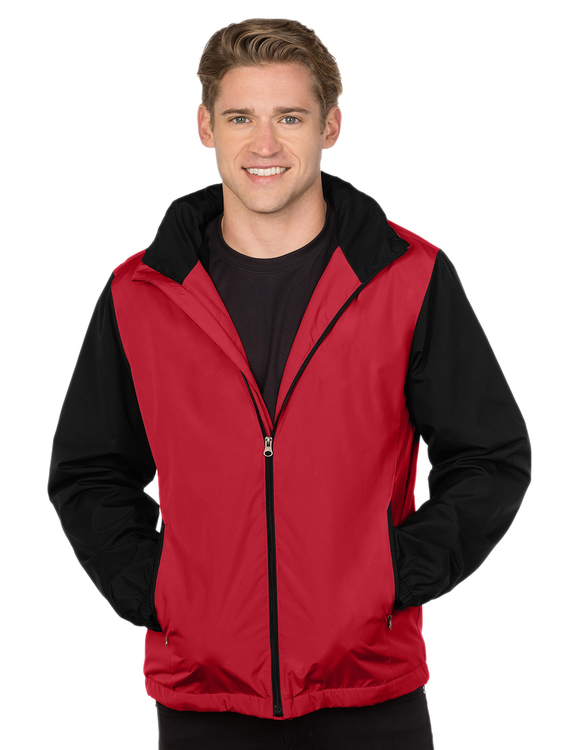 Windproof/water-resistant polyester shell.8 oz. 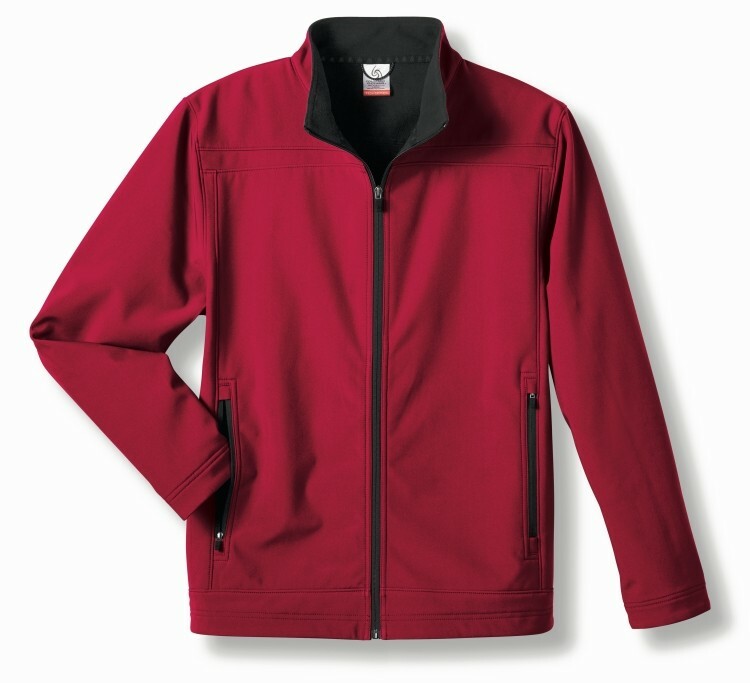 poly micro fleece body lining with nylon lined sleeves. Concealed hood, two zippered pockets and elastic cuffs. Open bottom with adjustable drawcord. EmbAccess™ system for clean embroidery. The Great Economy Beach Towel just got better with our Overseas program. 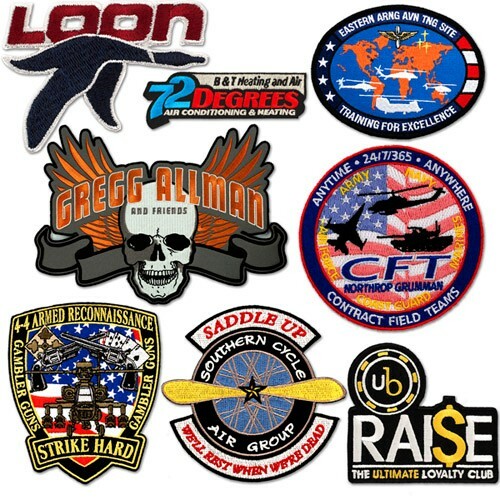 Get them customized with either Embroidery or Silkscreen for the same DISCOUNTED cost. Our 28x58 Super Economy Beach Towel made out of 100% cotton, with a smooth Terry Velour side, perfect for custom printing and custom embroidery. 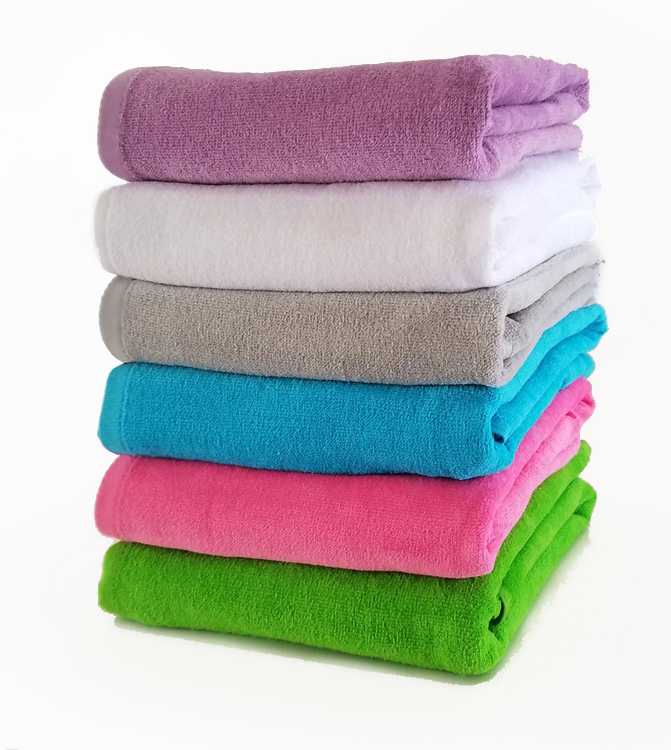 These soft and durable towels weigh 9 Lbs per Dz. and are great for taking to swim. They are made using 10 / Singles Terry Velour construction and have hemmed edges. These beach towels are sold in bulk either as blank towels or personalized towels. They are great for promotional purposes, you can hand them out to your customers or at events and parties. Use them at the beach or at a pool. 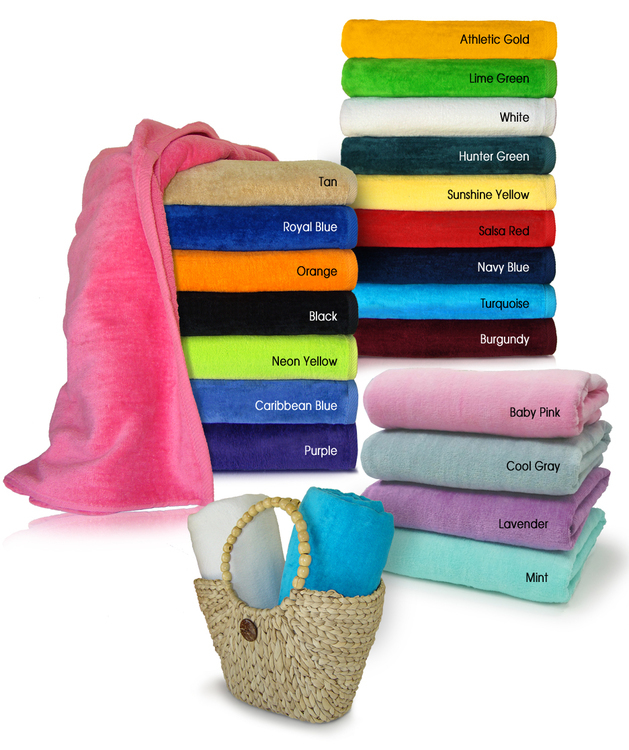 Let your costumer do the promotion for you, print or embroider your custom logo on the towels and see as they take them everywhere with them. Wraps: Digitally printed on durable acetate film allows for high resolution, full color photo quality images and logos. 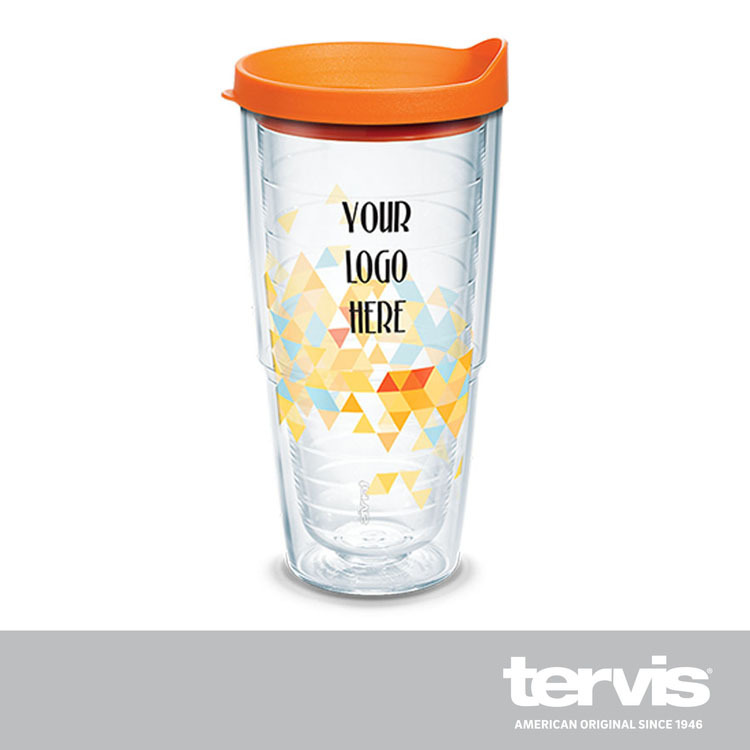 Variable print data can be included on each tumbler for an additional fee. Production Time: 7 business days after proof approval. FlexStyle: Textured 3-D Emblem. FlexStyle elevates your brand with greater detail, an attractive appearance featuring bold metallic finishes, and deeper, more detailed texturing. 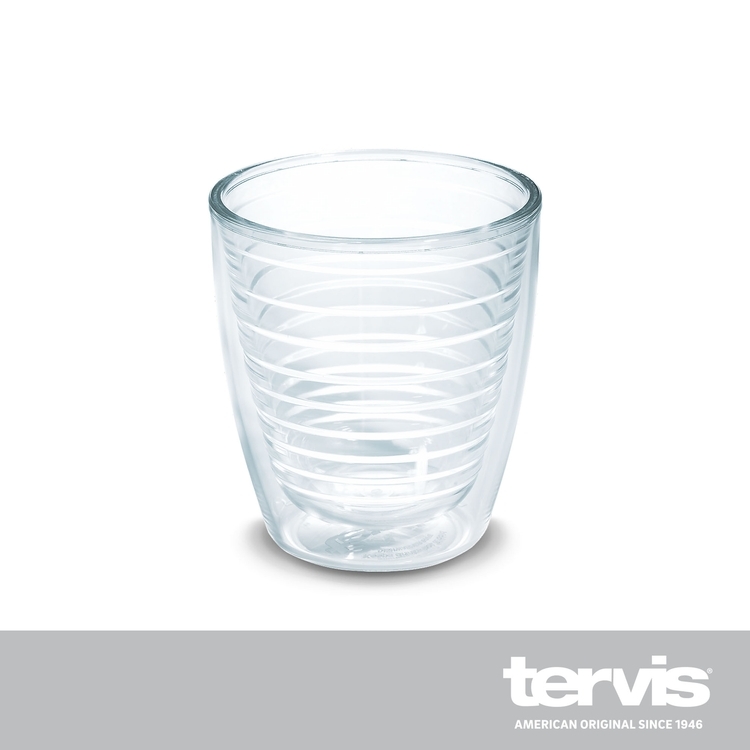 The original Made in the U.S.A., Lifetime Guarantee Tumbler - Don’t settle for the next best thing. 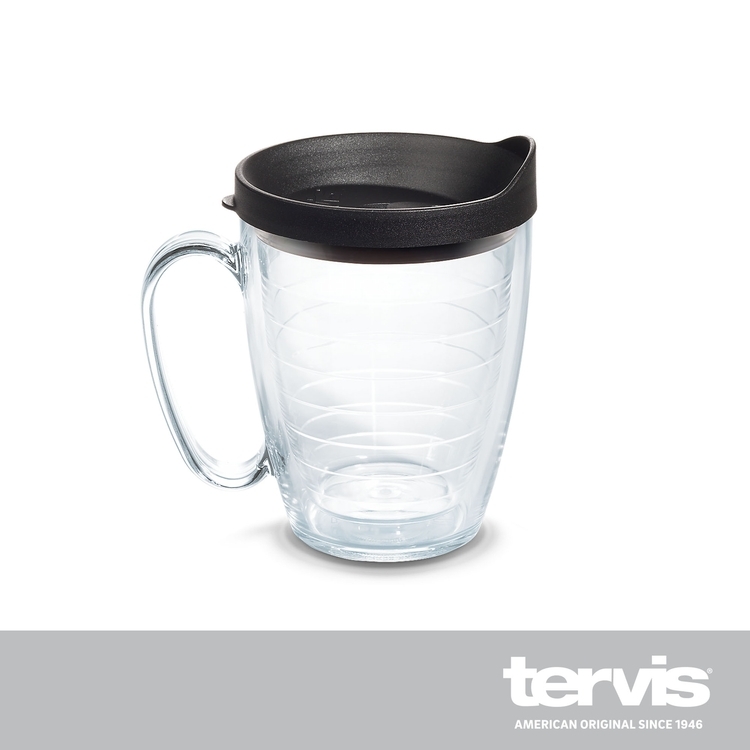 Tervis Tumblers are dishwasher, Microwave and Freezer safe and BPA free. 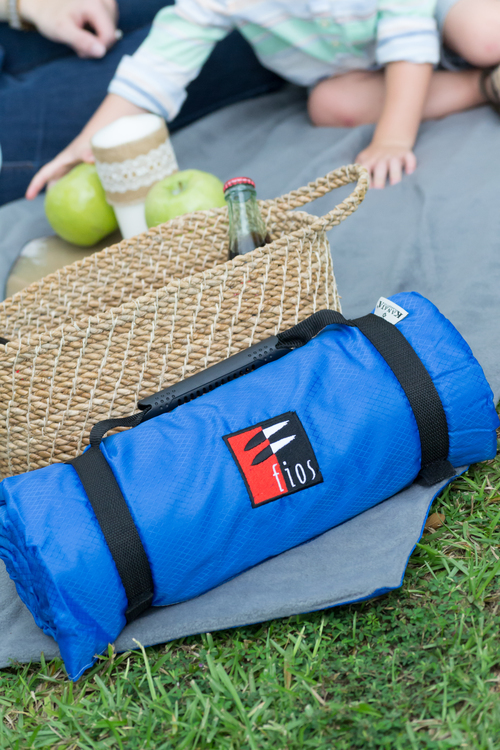 This picnic blanket is rugged and versatile, with a water resistant, PVC coated exterior, and soft fleece interior, it is the quintessential summer blanket for the beach or the park. 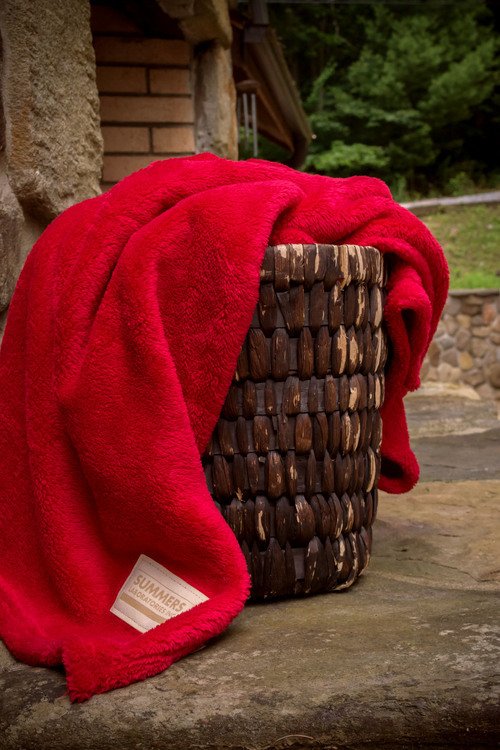 Leaves and grass do not stick to this blanket like they do to other blankets plus it has a molded rubber carry handle so it's easy to easy to pack up and transport. Both luxurious and affordable, this plush, reversible throw features micro fur on one side while the other has the coziness of faux lambswool. This incredibly comfortable and warm reversible throw offers the quality of a Kanata throw at a great price. Available in a range of colors ideal for corporate gift giving or to fit into any home. The Colorado Clothing Rec Pak is the ideal blanket for outdoor excursions. 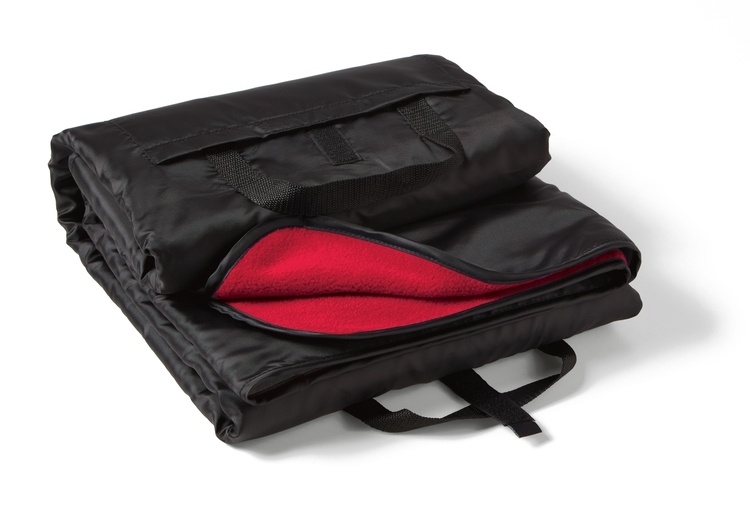 The 50" x 60" blanket folds into a carry all shape with velcro closure and webbing handles. Polyester fleece inner. All fleece colors reverse to black waterproof oxford. Features a 10.5" x 8.5" pocket for embroidery. Production Time: 12 businesses days after proof approval. Accessories / Make up Pouch  Promotional / imprinted Bags / Economy Eco-friendly totes Trim colors 7150 Navy 7150 Red 7150 Black 7150 Green Features All-In Pouches are conveniently sized for thousands of small goods-- from a collection of markers or road trip snacks to charging cables and make up. 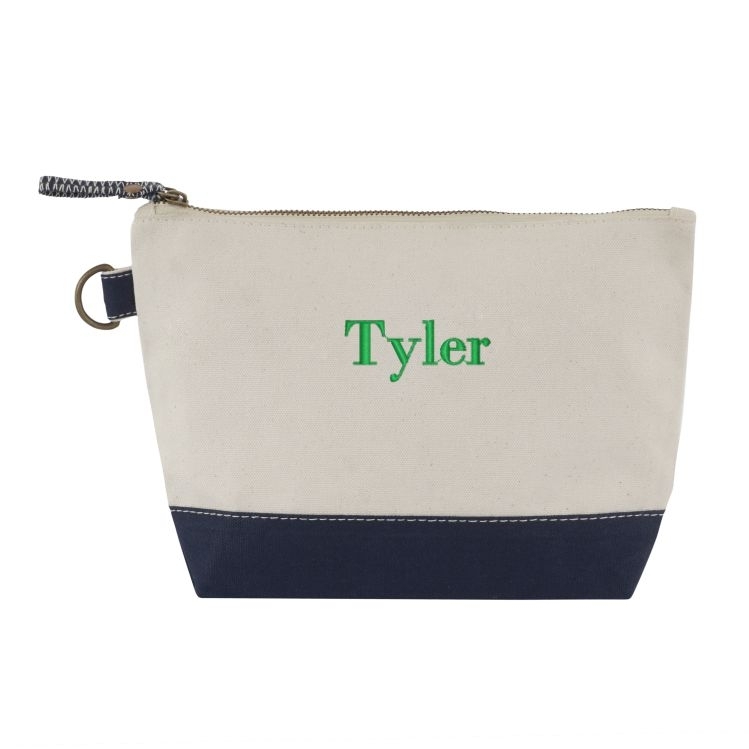 Monogram them with your favorite teacher's name, zip code, longitude and latitude or simply embroider "STUFF," these pouches have a sturdy metal zipper with pull tab and handy loop ring for snapping them anywhere you'd like. Heavyweight canvas gives them a lot of substance and value. 4 Color Process / Photo Trans / Full color printing available. Imprint area 4.5”W x 3”H Embroidery: 3" x 3"
Deluxe Travel Bag  Promotional / Sports / Imprinted Bags / Totes / Boats Trim colors available 70850 Black 70850 Navy 70850 Red Features Travel in style with this top of the line bag made from heavy duty, high quality; recyclable, eco-friendly, biodegradable 20oz 100% cotton canvas with recycled content. Leather handles and adjustable shoulder strap with leather accents make this a perfect corporate gift for top executives. There are 3 location options to attach the adjustable shoulder strap. Heavy duty antique brass metal accessories and high quality craftsmanship make this bag a perfect company for any trip, business or pleasure. The bag also has a reinforced colored bottom. Imprint area 4.5”W x 5”H Embroidery (Recommended) 3”W x 3”H 4 Color Process / Photo Trans / Full color printing available. 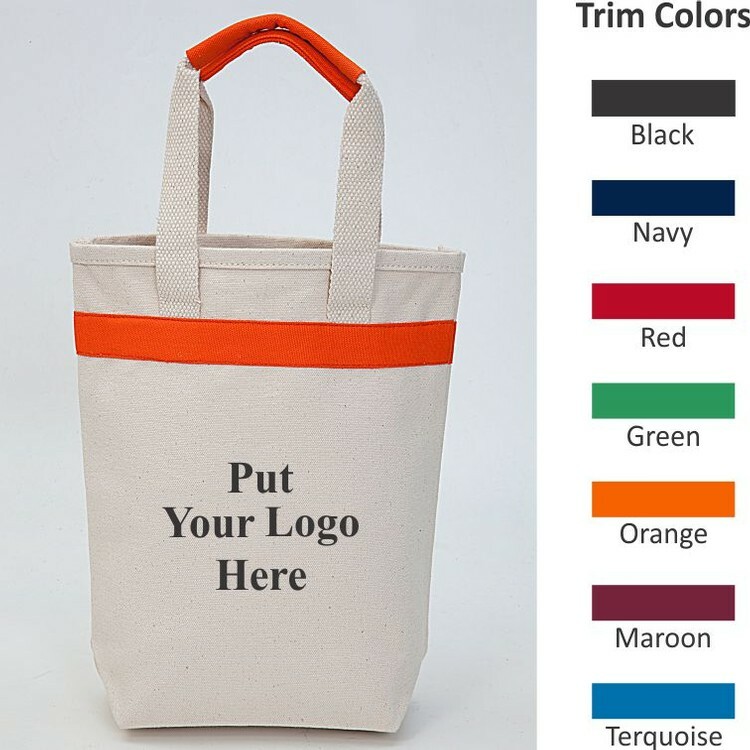 Gift / Wine tote [G1013] Promotional / Sports / Imprinted Bags / Green / Totes Eco-friendly; biodegradable; Green bag / tote Trim colors available G1013 Black G1013 Navy G1013 Red G1013 Green G1013 Orange G1013 Maroon G1013 Turquoise Features A dual purpose Gift / Wine tote with accent colors. 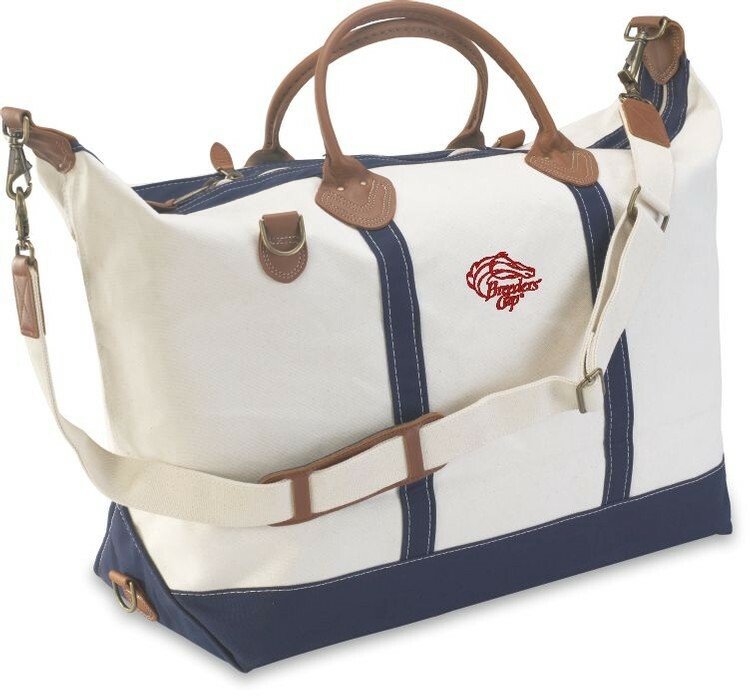 The bag is made of 16oz cotton canvas with dyed canvas accents. This bag is 100% reusable, eco friendly, biodegradable, made from recycled cotton canvas. You can imprint your logo on both sides. The inside elastic holders / dividers ensure safety of wine bottles hitting against each other. This is the perfect bag for gifts to show your appreciation to your special client or top customers. 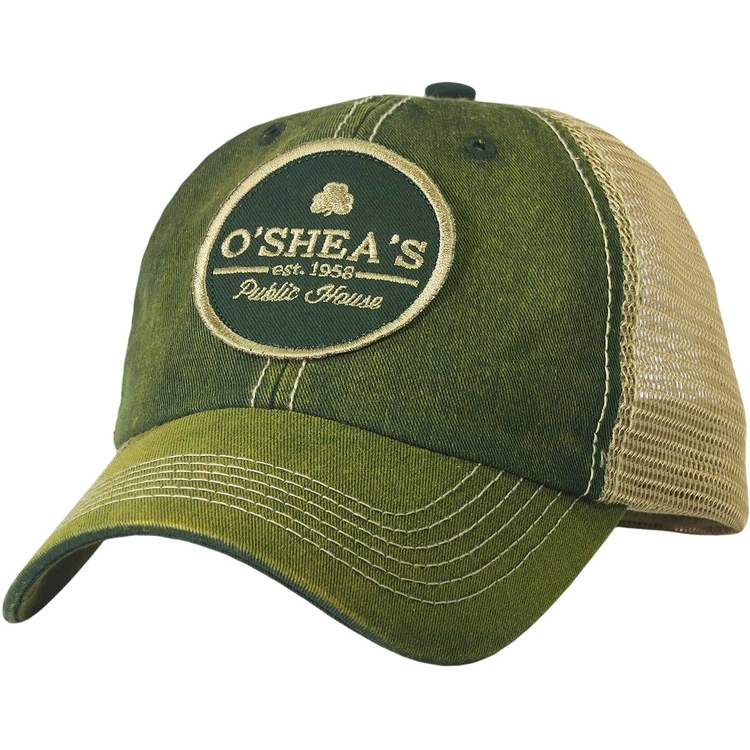 Perfect for the holidays, wineries, distilleries, and gift shops. 4 Color Process / Photo Trans / Full color printing available. Imprint area 4.5”W x 3”H Embroidery 3" x 3"
Recycled Convention tote / Bag  Promotional / imprinted Bags / Economy Eco-friendly totes Handle Colors 5053 Black 5053 Red 5053 Royal 5053 Natural Features Not only is this the perfect convention tote a great travel bag, but it is practical for shopping, or school events too. 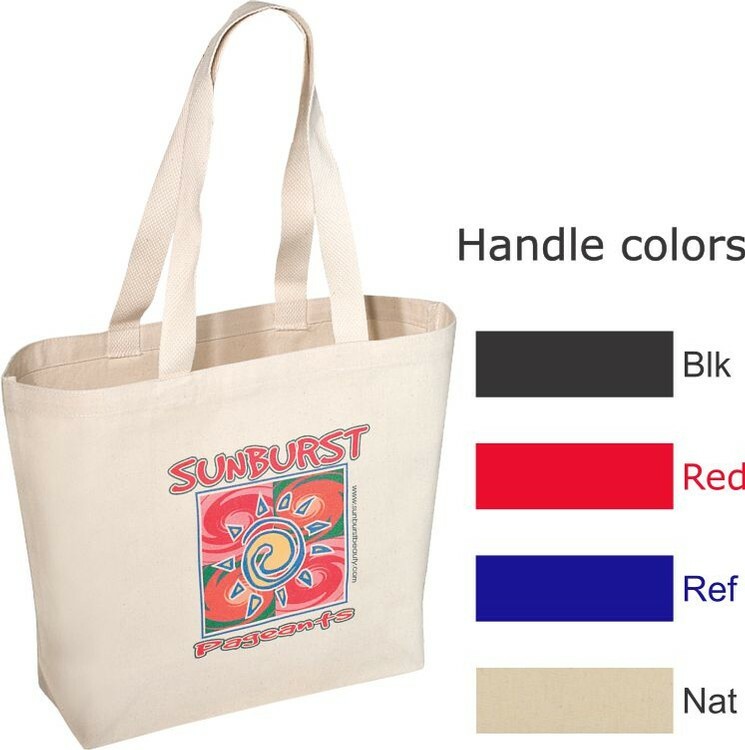 The bag is made of high quality recyclable, eco-friendly, biodegradable, 10oz 100% cotton canvas with recycled content. 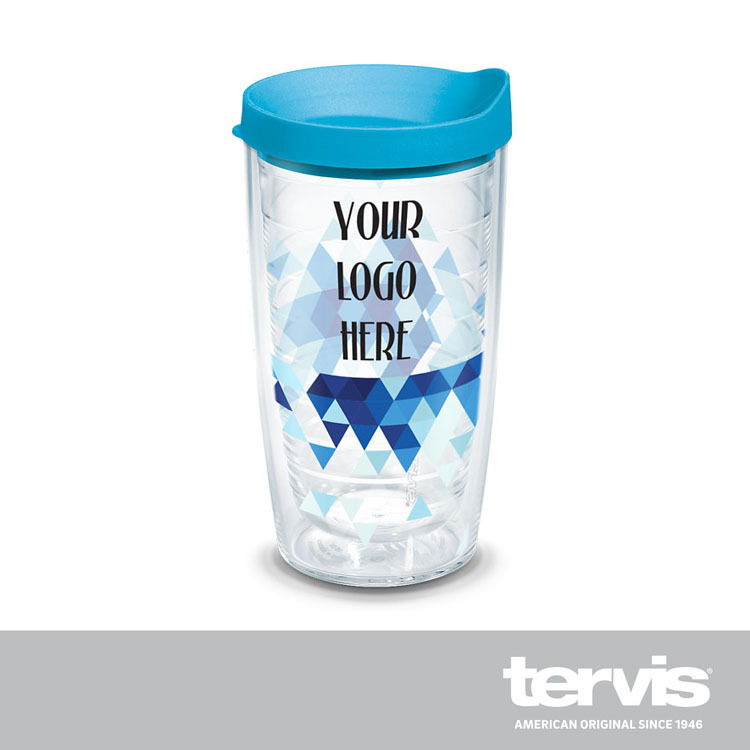 It has a large imprint area perfect for many logos or graphics on both sides. It has 26” long shoulder length webbed handles. There are 5 different handle colors to choose from. Enjoy the best value for your money with this best priced bag in the entire industry. Imprint area 9”W x 8”H Embroidery 4”W x 4”H 4 Color Process / Photo Trans / Full color printing available. Premium Messenger Bag / Tote  Promotional / Sports / Imprinted Bags / Totes / Boats Trim colors available 6242 Black 6242 Green Features You will find this a clear winner against polyester/nylon messenger bags. This is as good as it can get because the bag is made from a high quality heavy weight; recyclable, eco-friendly, biodegradable, 16oz 100% cotton canvas with more than 30% recycled content. Elegant, 2 tone, durable, 2” wide cotton web handles put this bag in a “no match” category. 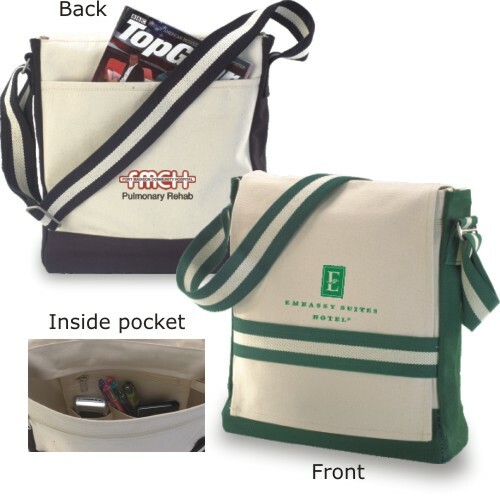 This bag has an inside detailed pocket with pen loop, zippered closer, cell phone and accessory compartments. This bag has everything one would expect in an upscale & stylish bag including adjustable shoulder length handles, secure front flap closer, large inside zippered pocket, and back slip pocket. Proudly display your logo on both sides. This bag will make a wonderful and apt corporate gift. Imprint area 5”W x 4”H Embroidery 3”W x 3”H 4 Color Process / Photo Trans / Full color printing available. The Men's Antero Mock Softshell is wind and water resistant with reversed coil zippers, inner embroidery cover and zip hand pockets. 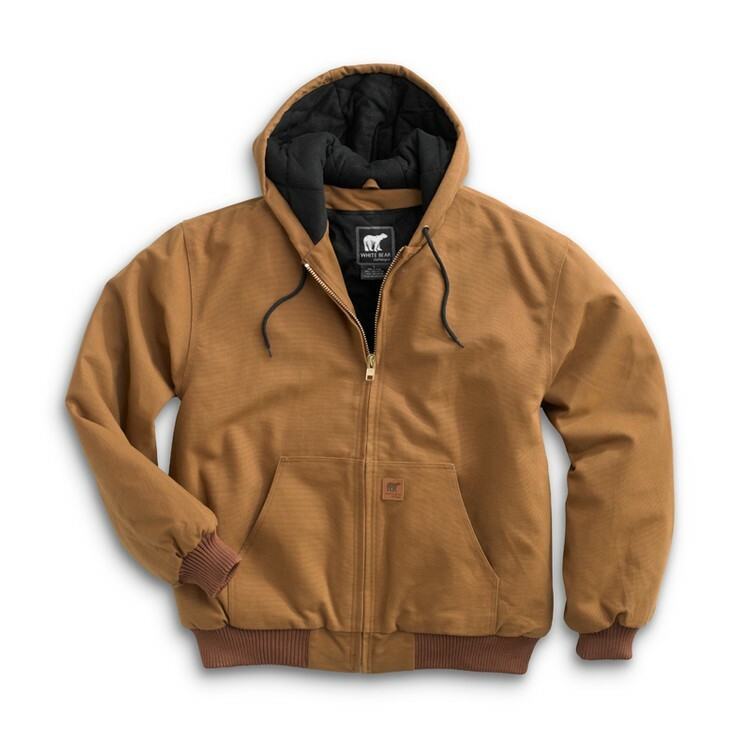 Cotton Duck Hooded Jacket features Water Resistant 12oz Sanded and Washed Cotton Duck. Heavy Polyfill with Brushed Tricot Lining in the Body and Nylon in the Sleeves. Three Piece Hood Construction. Over-Sized Fit. Heavy Duty Rib Knit Cuffs and Bottom Band. Embroidery access Zipper that allows embroidery to right/left chest and full back. No Back Seams. 2 large inside pockets. Heavyweight canvas coat is available in 4 colors and large sizes - 3XL, 3XLT, 4XL, 4XLT, 5XL, 5XLT, 6XL, 6XLT. 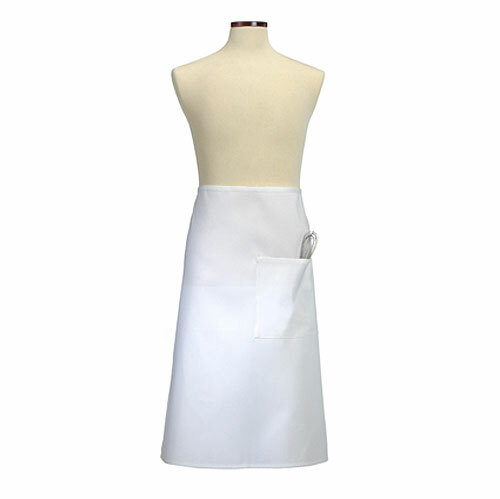 Our 28" x 33" full white bistro apron is designed with service in mind. 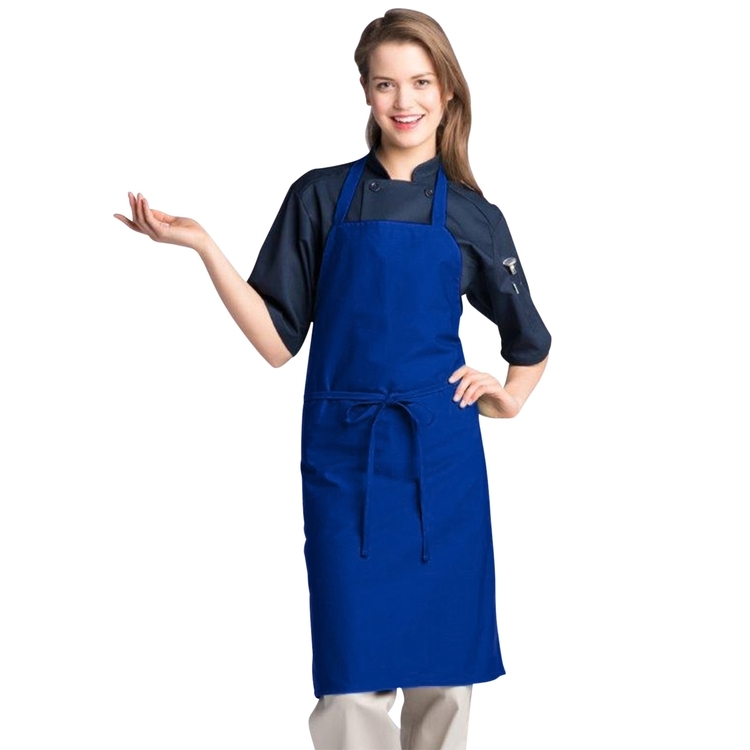 This apron features a large pocket over the right thigh that is designed to hold order pads and has extra long ties to fit most individuals. 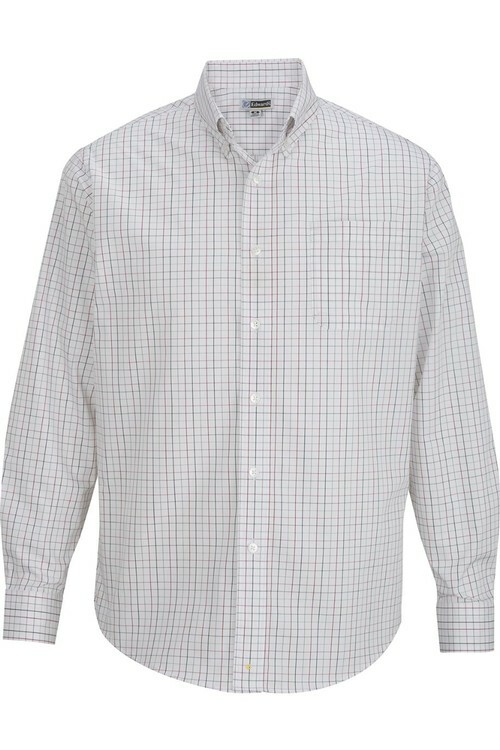 Made of 65/35 poly/cotton twill and 7.5 oz fabric weight. 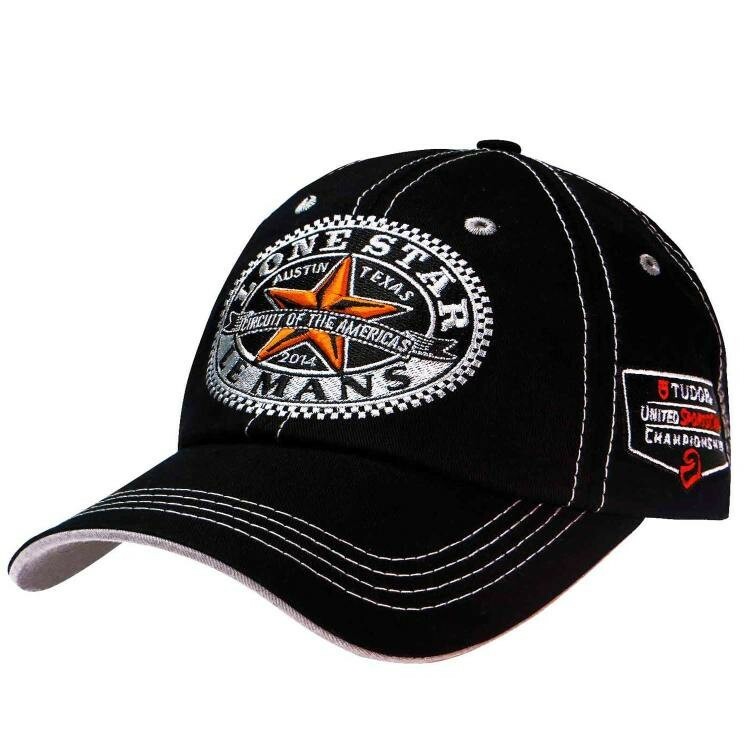 Customize with a company logo or event name with embroidery, screen printing or laser etch. Imprint on the pocket is 5" x 5", outside the pocket 10" x 10".